8:40 AM Day to leave Gwalior. We were so fed up with the bad food in Taj, we decided to try some local stuff for breakfast. 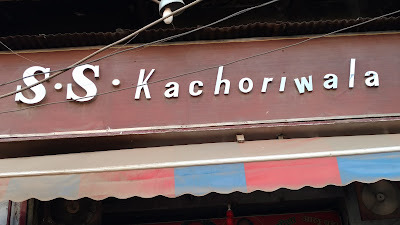 We were told that a shop called S S Kachoriwala may be a good bet. So we checkedout and headed for the shop and then leave to Orchcha. 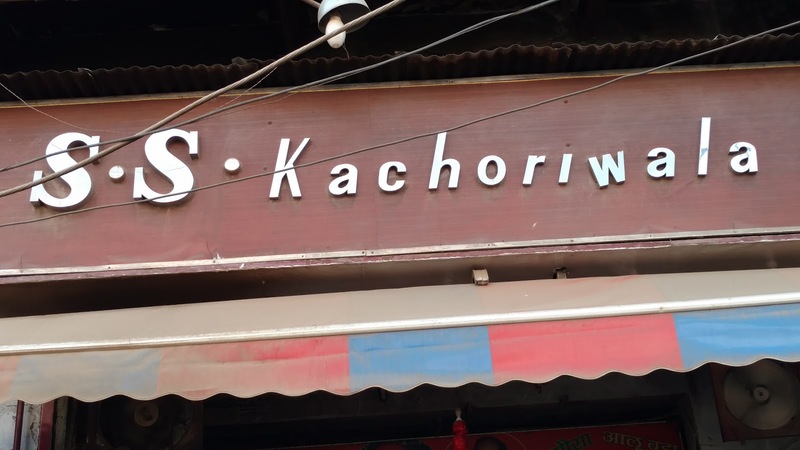 It is a non-descript shop but makes hot kachoris and samosa. We got some packed and left. It is approximately three hours journey to Orchcha. We reached there around 12 PM. 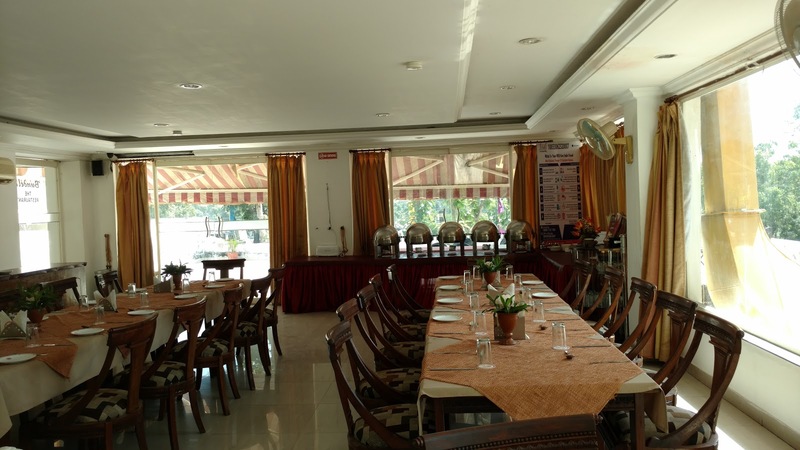 We straightaway headed to Betwa Retreet, a MP Tourism hotel for some refreshment before going to Orchcha Fort. The construction of the Raja Mahal was started in 1531 AD by Raja Rudra Pratap (1503-1531 AD) and was completed by the year 1539 in the reign of Bharti Chandra (1531-1554 AD). Later on, his successor Madhukar Shah (1554-1592 AD) made some alterations and additions giving it a final shape. Designed on a square plan, the palace is divided into two wings, with five stories on three sides and four stories on one side. The Darbar-e-aam and Darbar-e-khas are quite imposing. The subjects of the painting are mainly the life and deeds of Lord Rama and Krishna. The incarnations of the god Vishnu have also been painted. Nayak, Nayikas, Rag, Raginis, Wrestling, Folk, Hunting and Vignettes and Royal Amusements have also found a place in depictions. According to common belief Jahangir Mahal was constructed for Jahangir reception by Veer Singh Deo (I). It is square in plan with four bastions at each corner which end in a ribbed dome at the top and have four kiosks at the corner of the base of the dome. The chajja on the corners of the first story is held by a series of elephant brackets at regular intervals on all sides. All the chambers of this palace had been decorated with paintings the remains of which are visible only in few rooms. The Jahangir Mahal is the culminating point of evolution of Medieval - Indo - Islamic architeture, an example of Harmonied imagination and organized execution. Fifteen cenotaphs to the bundela kings and members of their clan are located on the southern bank of river Betwa. These include the chhatris of Madhukar Shah, Vir Singh Deo, Jaswant Singh, Pahar Singh & others. Most of the cenptaphs are designed in Panchaytan style. These are constructed on an elevated square platform. The sanctum sanctorum too is square shaped and in the center. The upper potion has been made angular with arches. The peek of the sanctum sanctorum is patterned in the nagar style of temple architecture. 3:40 PM We reached Orchcha Resort that is adjacement to Cenotaphs complex and had a quick dinner. 4:30 PM We just walked around the place for some time and then left for sagar. 8:54 PM We reached sagar and checked into Hotel Deepali. Here is my review of the hotel.